NCR Pads with sequential numbering. The copy pads have 50 sets per pad. This means that duplicate pads consist of 100 sheets and triplicate pads consist of 150 sheets. The prices below are for black ink only printed to the front side of each sheet. Sequential numbering is included. Duplicate pads have a white top sheet, followed by a yellow bottom sheet. 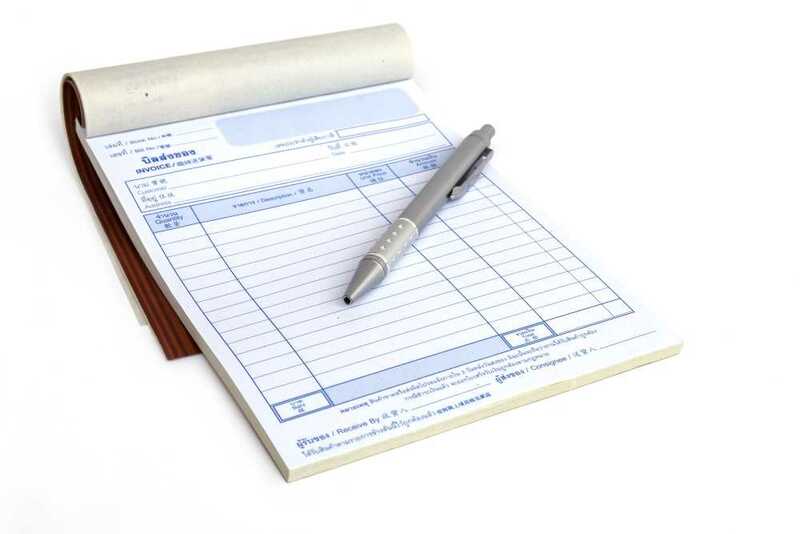 Triplicate pads have a white top sheet, followed by a yellow sheet, then a pink bottom sheet. If you require a different specification for your pads than what you see on the website, then please call or message us and we will be happy to quote you for whatever you require. There is a contact form towards the bottom of this page. Prices include delivery to 1 UK mainland address. No VAT to add. How To Order Your Printing. Option 1: Call me on 01283 529 786 to discuss your needs. Option 2: Use the form below to send an inquiry and/or your artwork or any other large files.